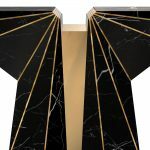 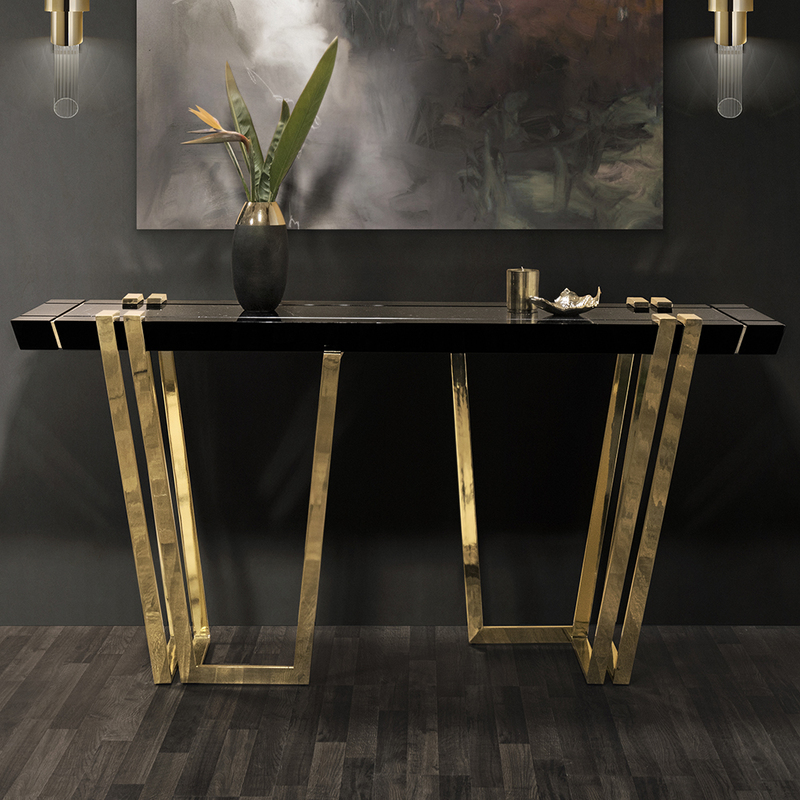 A stunning combination of stone and metal, the suspicion console features a unique design which is guaranteed to turn heads. 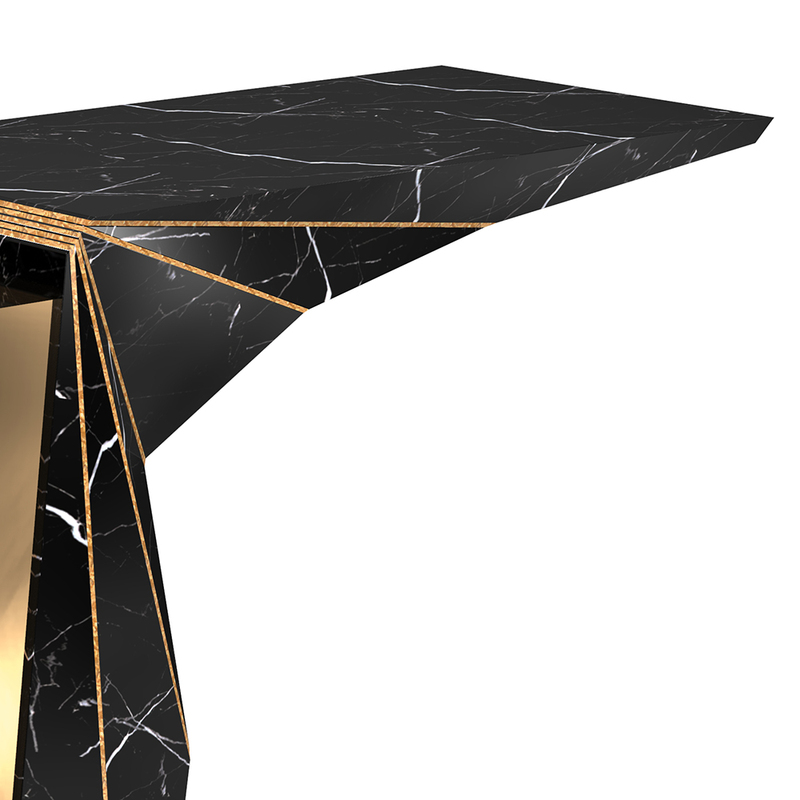 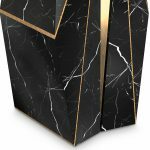 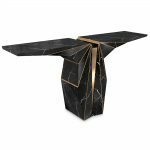 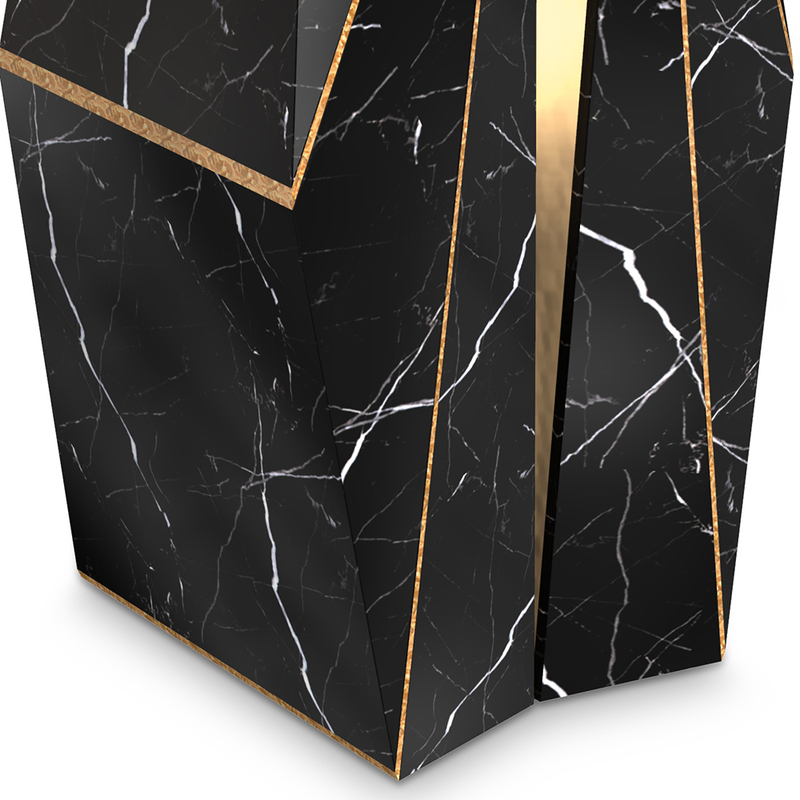 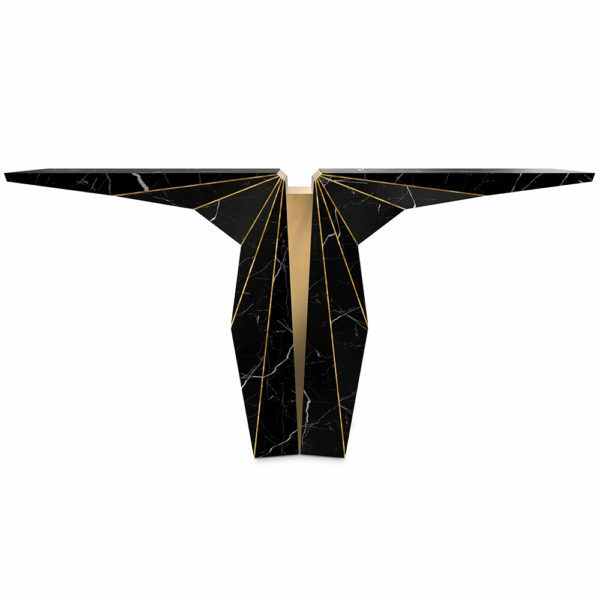 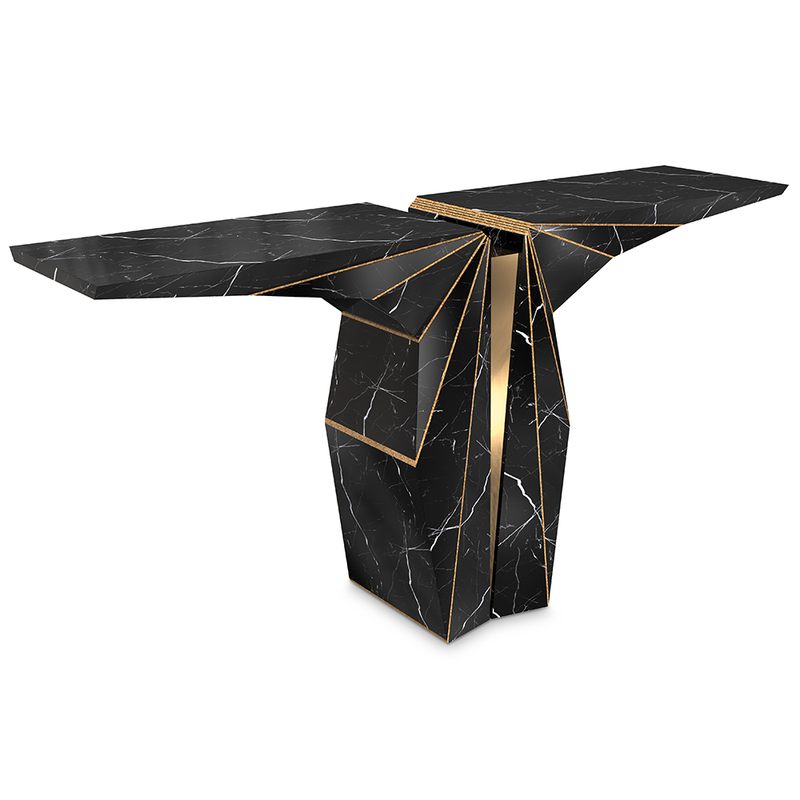 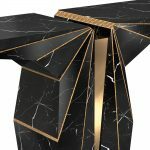 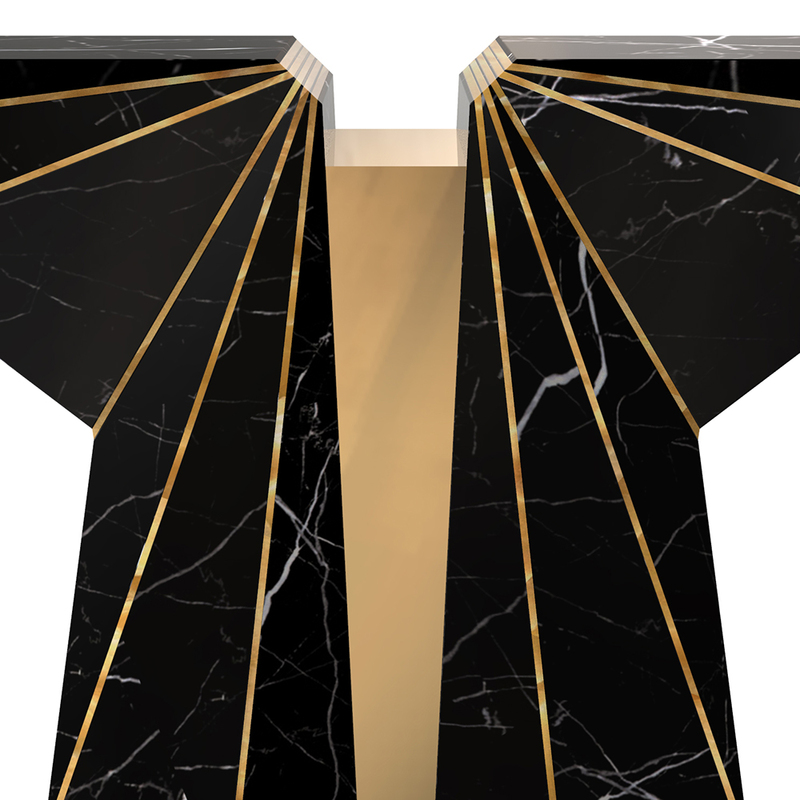 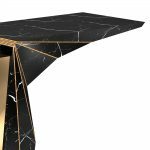 This elegant console table is built from the highest quality nero marquina and amarillo triana black marble. 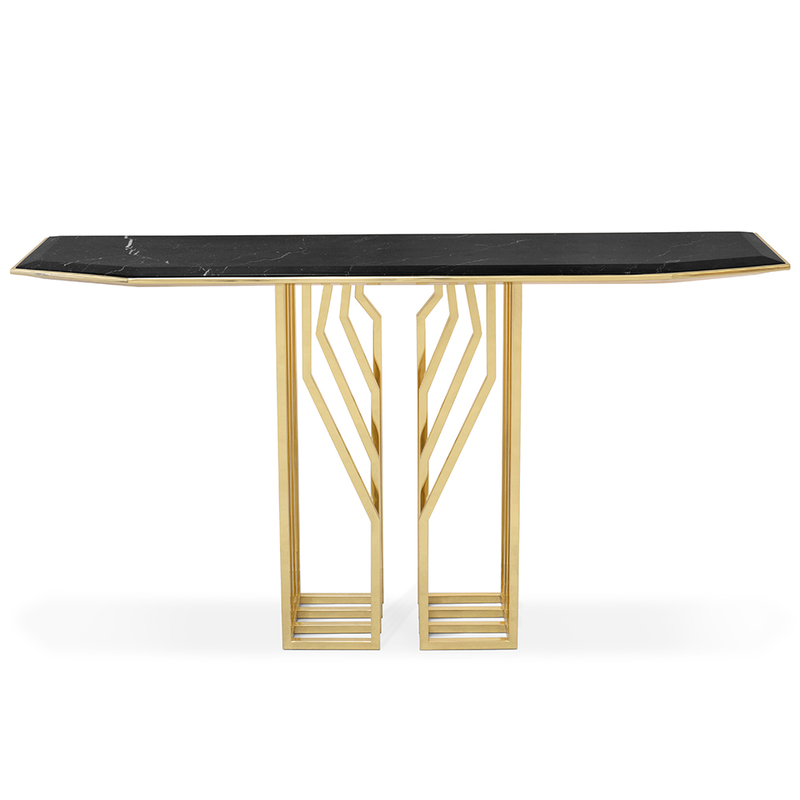 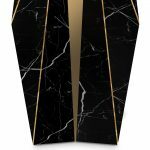 Adding a further luxurious touch to this piece is the beautiful gold brass detailing. 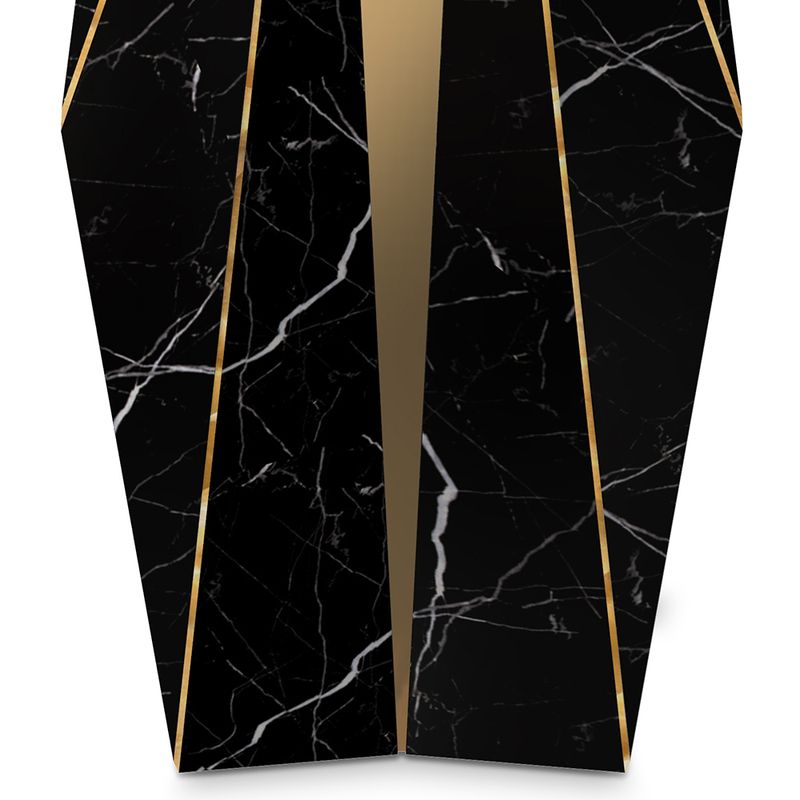 Custom finishes and sizes are also available on special request.